He clamped his hands over his ears, but it didn't block the high-pitched screams from the barn. He knew they would stop. They always did. Yet the silence scared David even more, knowing Pa would seek a new victim next time. "I'm yer daddy's property. Why would ya help me escape? "It ain't right," David said. "If yer get caught helpin' me, ya'll be in trouble," Jenkins said. "It's better than watchin' you die a slow death." 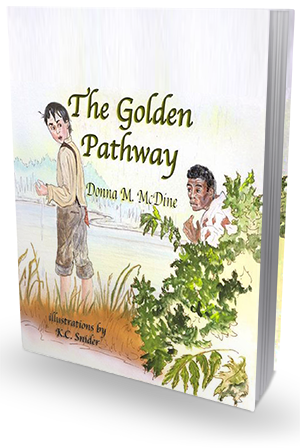 Meaningful, inspiring and moving, The Golden Pathway is a beautiful historical book for children ages 8-12. It's an important addition to every child's bookshelf, as it will help teach your kid about diversity, courage, compassion and doing the right thing. The books is about two boys - two very different boys - and their unlikely friendship. David is the son of a cruel and mean drunk. Jenkins is an African American teenage boy who is owned by David's father (in other words, he is a slave). Though often mistreated and called "a sissy" by his father, David knows the difference between right and wrong, and is brave enough to stand up for his beliefs. Appalled by his father's cruel behavior and violence towards his young slaves, he's determined to help Jenkins escape to safety. He's willing to risk his father's wrath and his own safety, to help his friend. His compassion and understanding of social injustice, as well as his determination to fight against it, is something truly remarkable and inspiring, especially considering his very young age. This book made a huge impression on me, making the Golden Pathway an essential part of my daughter's book collection. It's a story that I'm sure will inspire and affect her just as much as it inspired and affected me. Historically accurate, The Golden Pathway mentions the famous Underground Railway that helped many African Americans escape to freedom. It also mentions Quakers who firmly believed that no one should ever be able to claim another human being as property, and who - thanks to their persistence and fierce dedication to the cause - helped make a difference. 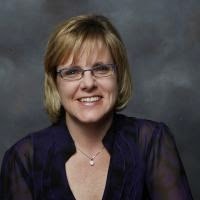 Through Donna McDine's accessible writing and K.C. Snider's gorgeous illustrations, The Golden Pathway tells a powerful tale of finding strength to help those in need, even if it means risking our own safety. A story about doing what is right and making a difference. A story of bravery and dedication that is sure to inspire kids all around the world and help shape them into courageous, admirable people. Donna McDine is a multiple award-winning children’s author, Honorable Mention in the 77th and two Honorable Mentions in the78th Annual Writer’s Digest Writing Competitions, A Sandy Grave ~ Story Monster Approved and Beach Book Festival Honorable Mention 2014, The Golden Pathway ~ Literary Classics Silver Award & Seal of Approval Recipient Picture Book Early Reader, Readers Favorite 2012 International Book Awards Honorable Mention, Global eBook Awards Finalist Children’s Picture Book Fiction, and Preditors & Editors Readers Poll 2010 Top Ten Children’s Books. For more information please visit Donna McDine’s website. You can also connect with her on Facebook, Twitter, Google+,Pinterest, and Goodreads.